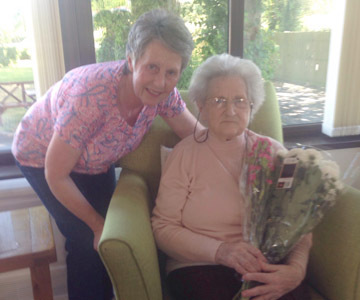 There was such an abundance of flowers recently arrived at Clonlee and the residents were thrilled to bits with the rainbow of colours. 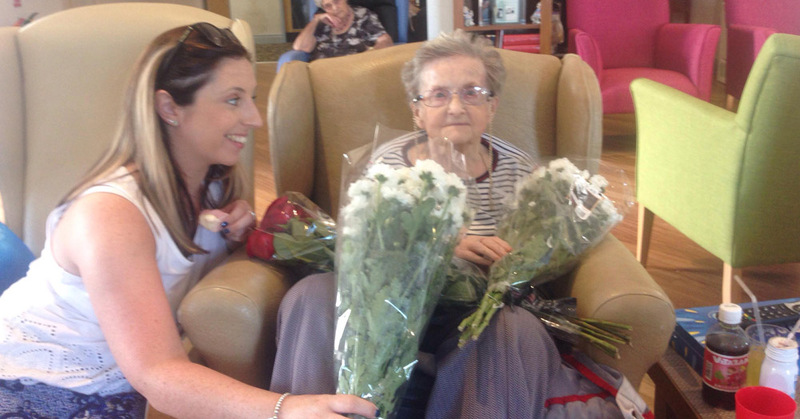 Everyone thought it was their birthday when Leanne and Angie told them all the flowers, large bunches of them – lillies, roses, bonnie jeans, coronations and daisies were shared around the room with everyone getting their pick. 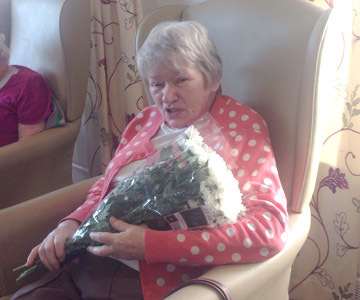 The flowers were donated to Clonlee from Lidl, at Junction 1 and we have to say a BIG THANK YOU to Ashley Byrne, Deputy Manager, for thinking of us. Meta said she was thrilled to bits and Kathleen said it was ‘blooming marvellous’ of Ashley and Lidl…..